If you are interested in volunteering with the WFTS, please check the statewide map to see if there is a route available in your area, review the survey details listed in the WFTS Manual and then contact us. If there are no available routes in your county, you may contact us to be put on the WFTS waiting list. 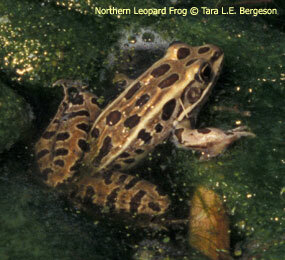 We are also tracking the phenology of Wisconsin frogs and toads and invite interested volunteers to choose one or two wetlands, ponds, lakes or streams to monitor frog and toad phenology throughout the spring and summer. Ideally, surveys would be completed every day throughout the breeding season, but fewer visits per week will still provide valuable information. Additional information on phenology surveys can be found here.